David Kantor has nearly 30 years of experience in the investment management industry. At SFA, he is responsible for investment policy and strategy, the evaluation and monitoring of SFA’s portfolio investments, overall business strategy, and client relationship management. David was a co-founder of Santa Fe Advisors in April 2014 along with Kristina Alley and David Marion, with whom he previously worked at First Santa Fe Advisors. 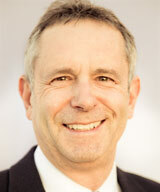 David joined FSFA in September 2010, where he served as a Managing Director. Previously, David spent 15 years as a partner of Prudent Management Associates, a Philadelphia-based investment advisor, where he managed the firm’s Washington DC office. Before joining PMA, David was a founding partner of Cambridge International Partners, a New York-based investment banking boutique specializing in the investment management industry. David and his family are active hikers and backpackers. David received a BA in Economics from Harvard College and an MBA from the Wharton School of the University of Pennsylvania. Disclosure: All written content on this site is for information purposes only. The material presented is believed to be from reliable sources; however, we make no presentations as to its accuracy or completeness. All information should be discussed in detail with your individual relationship manager prior to implementation. Santa Fe Advisors, LLC may transact business only in states in which it is registered, or in which it is excluded or exempted from registration. Santa Fe Advisors, LLC is currently registered in the State of New Mexico, and has a de minimus exemption to transact business for clients in other states. ©2014-2019, Santa Fe Advisors, LLC; all rights reserved.